Are we starting to see, ever so gently, the beginning of the food wars, which have been talked about in recent times and none of us believed in? Are countries that cannot produce enough food for their own needs, starting to make sure they don’t go hungry in the future? Can we in Australia fill the gap? We are always boasting about how many people we feed as well as ourselves. But our food imports are going up and our production per hectare with cereals is going down. We are cutting back on Research and Development (R&D) and we are reducing the size of our Departments of Agriculture. So the question remains can we and do we want to fill the world-wide demand for sheep? 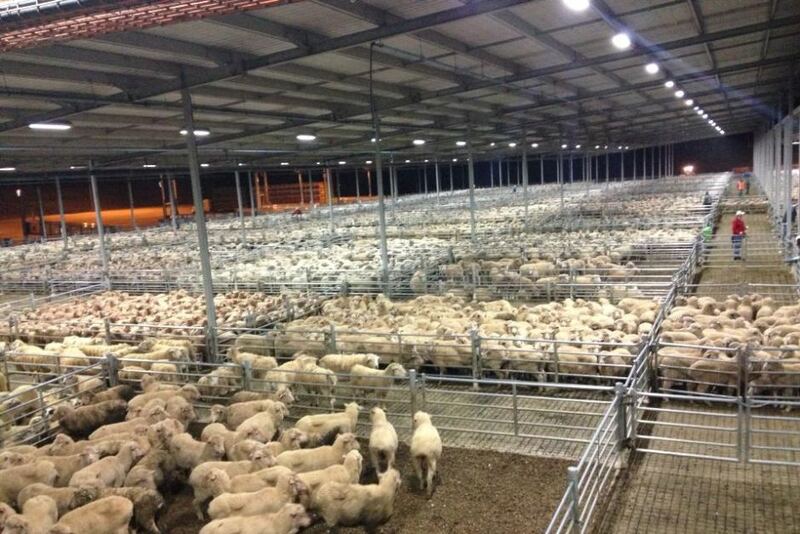 The new covered sheep sale yards at Katanning. The best in the southern hemisphere. Capacity over 20,000.Photo courtesy ABC. 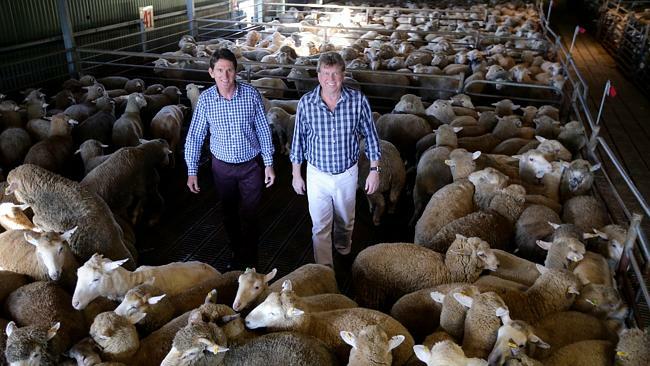 The recent announcement by the Walsh brothers from Bunbury in Western Australia that they had done a deal for lamb and beef with a Chinese company worth a billion dollars over five years is some deal. This is great deal for Western Australia and the rest of Australia. The Walsh’s’ say they have been working in China for many years and this deal is the culmination of all that work. I wonder if we are beginning to witness a land and a food ‘grab’ as part of a strategic plan for China’s future? ‘China Daily’ predicts that by 2020 six out of every ten Chinese will live in the cities. In 2012 over 50% of the population were classified as urban dwellers. The deal certainly is a big one, Walshs’ are to provide frozen boxed meat to China’s Grand Farm, equivalent to 500,000 lambs and 30,000 cattle a year. With the West Australian Flock numbers at 1920 levels at about 15 million, and the disenchantment there has been for beef prices in recent times, no one is quite sure where all these animals are going to come from. The other question I am not quite sure on is whether to 500,000 lambs is the total number on the contract or whether Walshs’ want an extra 500,000 lambs a year? Whatever it is, it’s going to be difficult to grow the WA sheep flock to meet the needs of the Walsh agreement. If WA sheep farmers respond to the Walsh challenge the ewe flock will have to increase, that will mean for some years there will fewer be female lambs going into the meat market. 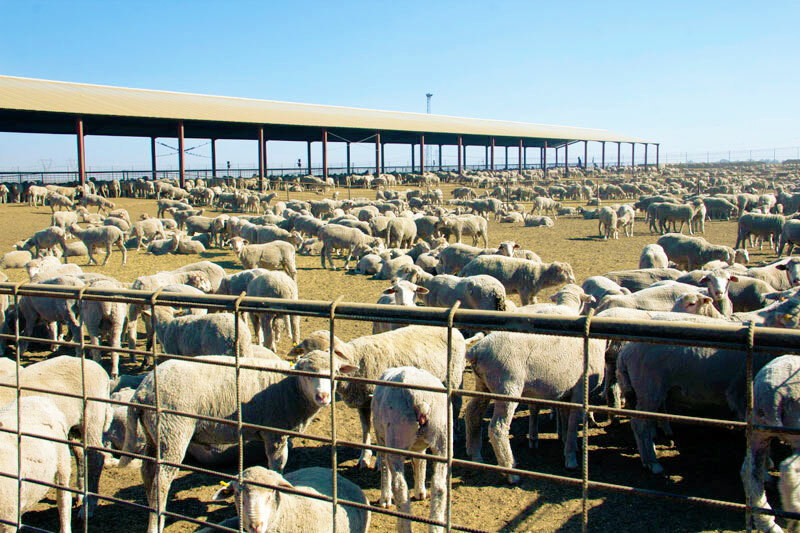 It is mentioned in the press release that the Chinese company ‘Grand Farm’ will spend $200m on increasing lamb production and Walsh Bros will spend a whopping $800 million on ‘new processing facilities and feeding systems in Mongolia. It does not say whether the deal is contingent and conditional upon those two investments being made. This graph and these figures were prepared by Kimbal Curtis and Kate Pritchett and presented at a function called a ‘More Sheep Forum’ in Katanning on October 9. 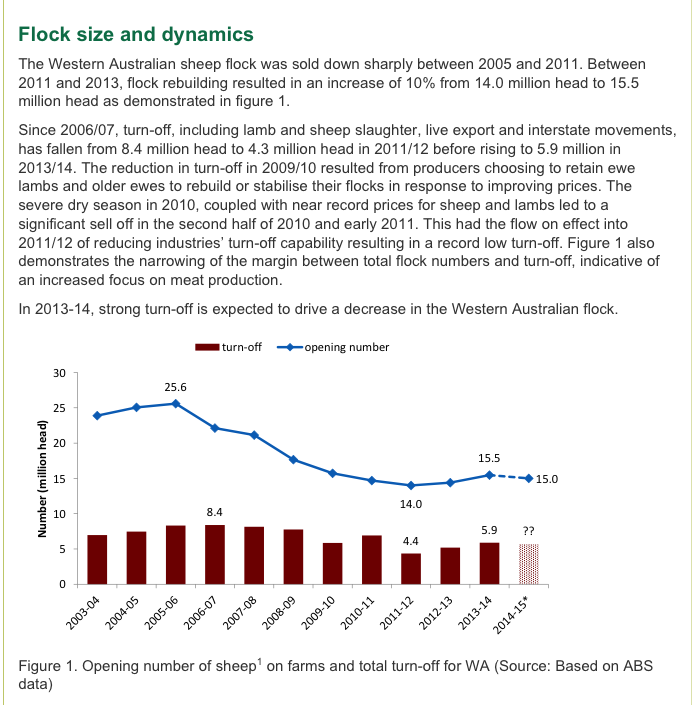 We will come back to it later but what it means is that surprisingly, for me at least, there are still ~15.5 million sheep in WA and if we turn off as many this year as last year, the flock size will go down. That will make increasing production difficult. Theses figures were presented at a ‘More Sheep Forum’ at the Department of Agriculture Fisheries and Food (DAFWA) Research Facility at Katanning on 9 October, and later at the canteen of the new sheep sale yards recently opened at Katanning. I had not seen the sale yards before, they are a credit to all involved not the least being the Shire of Katanning. It would be hard to find a better sheep sale yards in the southern hemisphere. It was a good day once the whistles hats and hot air balloons party has been dispensed with. Why the ‘ceremony’ had in be little marquee, in the middle of a paddock together with a pen of ten or so very good prime lambs produced on the research station, is beyond me. Perhaps to show that DAFWA can produce Prime Lambs. The public address system (we were all within 10 or 15 metres of each other) and the ‘official party’ assembled in the little marquee, and for the twenty or thirty in the ‘audience’ white plastic party chairs had been arranged in rows out in the sun. The PA system helped to create an atmosphere of importance. I’m not being rude, but their names were not on my programme so all I can say is various suits from the Department of Agriculture and Food both from Katanning and Perth had a word or two to say, I can’t remember who they were but the general theme seemed to be about change within the DAFWA, the movement of staff and what seems to be inevitable these days, budget cuts. Acting as master of ceremonies was Rob Egerton Warburton, farmer from Kojonup, 2010 Nuffield Scholar and Chairman of the DAFWA initiative the Sheep Industry Leadership Council (SILC). Rob introduced the Minister, and having told us how tough the world was and is going to get in the future, the Minister, of course, had good news. photo ; Fairfax media. 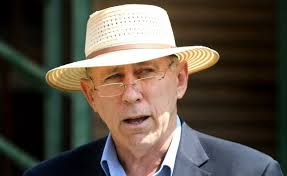 Minister for Ag Western Australia, Ken Baston, MP. The heart of the announcement by the Minister was that Royalties for Regions will supply a ‘one off’ $10 million over 4 years (($2.5 m/year) to the Sheep Business Innovation project (sic) at Katanning. For details on the full programme go to the Sheep Industry Innovation Project website. All supported by State government, Royalties for Regions, Seizing the Opportunity in Agriculture initiative. The objective is to double output by 2025, that’s just eleven years away. In a budget speech last October the Director General of DAFWA announced that only $5m would be released from Royalties for Regions during the current year for Seizing the Opportunity in Agriculture. So I don’t know where we are with that. Seems like the three bean trick to me. The good news over, we abandoned the tent and the PR system and repaired to the brand new canteen at the sale yards, where lunch was served. There would have been maybe 100 people at the function. No sign of lamb. Dead or alive. Not even a lamb sandwich or a cold chop. Nothing. There were not many farmers there either for some reason. Those that were there, apart from me were connected to some organisation or other. I didn’t see either DAFWA or PGA officially represented. To gain a full appreciation of the DAFWA strategic plan to 2025 (no less) you need to view the Strategic Plan 2014-17 PDF and for the press report read this article. I find it interesting that I cannot find a dollar mentioned anywhere in the strategic plan for DAFWA. Not a dollar. My view, jaundiced as ever some would say, is that that a ‘Strategic Plan’ without dollars and cents is nothing more than an Aspirational Plan. A wish list. A vision. A list of what DAFWA want to do. No details of how they are going to do it with the money available to them. Mind you! They may not know how much money they have at any one time. In reality they must be working with real dollars and cents. As a shareholder, as someone who has an interest in not only where DAFWA is going but how we are going to get there and how much it is going to cost, and what we will finish up with at the end, the shareholders must be presented with a balance sheet. I can see no reason why that budget should not be published. Times must have changed. Strategic plans without numbers were called aspirations. Aspirations were called ‘blue serge suit jobs’. For those who don’t know what a ‘blue serge suit job’ is ring me or email. The Sheep Business Innovation project (sic) plan funding becomes more complicated. The press release says the MLA have agreed to co-invest, but no mention of how much money is involved. There is also mention that the project is ‘supported’ by ‘Sheep Cooperative Research Centre’s Enhanced sheep wellbeing and productivity and Quality-based sheepmeat value chain projects. No mention of money. Ten million dollars over four years is not a lot of money. The Minister stated quite clearly it was a one-off payment from Royalties for Regions. It’s generally accepted the world over that a reduction in R & D, whether private or government, results in a reduction in productivity. Declining wheat yields are a good example. Whenever I read about DAFWA it seems to be about further budget or staff cuts. I for one cannot see how we are going to achieve what are ambitious targets for agriculture in Western Australia if we keep on reducing staff and budgets. Is there not a huge global paradox here? R & D budgets are being cut back by governments. Yet at one and the same time we have the doomsayers, who just happen to be right on current projections, that world food production must increase if we are to feed the projected 9 billion by 2050. Doesn’t make sense to me. 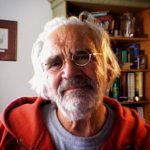 Depending on who you listen to and which side of the bed they got out of that morning, claims are made that global food production must increase by at least 50% by 2050 if the world is to avoid mass starvation, some say it must increase by70%. Can we do this if we keep on reducing research and development? So this Sheep Industry Business Innovation project on the face of it seems to be a very small budget and is is either very brave or seriously underfunded. Or is it just a gesture to show that the government finds it easier and cheaper to talk sheep than Tier 3? He qualified his enthusiasm for the potential market in China by recently saying if everyone in China consumed an extra kilo of lamb then China would need 65 million lambs and if it were beef then another 6.5 million cattle would be needed. I don’t think that sort of remark helps the market, or producers or potential producers to go back into sheep. We could say the same for Australia and it might be a damn sight easier than getting into China. If everyone in Australia ate one more kilo of lamb a year the market would need another 23 million kilos or 1 million lambs. Twenty grams a week before you work it out, or one small chop. Another interesting point was the wording in the press release that Walsh Bros will spend $800 on ‘processing facilities and feeding systems’. Does that mean more live export is planned for the future? Land use and people – Is it the age of the contractor? Leave the dogs to guard the sheep. Will they reduce costs? Cut down on the need for skilled labour? Nobody, not even the expert, experts, seems to know if the average farmer wants to get back into sheep or increase the flock they already have. It is the fundamental question to which nobody knows the answer. Maybe it is the simple question that should be asked first? If I were the Minister for Agriculture and I was listening to all this talk of the potential to export ‘millions’ of lambs and thousands of cattle overseas, especially to China, who seem to be on everyone’s lips these days, the first thing I would want to know if there are farmers in Western Australia who have the financial capacity, the skills, and the motivation to increase the size and composition of their flocks and maybe decrease the size of their cropping programs. I would commission professional, independent, an unbiased market research company to conduct attitudinal research both in focus groups, and interview a statistically significant number of farmers randomly selected over the phone to determine their attitude to change to more sheep. I would want that sample to be compared to the data that already exists for top, middle and poor performers in the community. One would then be able to see which group, if any, were more likely to change than the other. My bet is the poorer performers in cereals would be the keenest to change. The Minister is proposing that the flock could get back to about 20 million, maybe more? There is support in some quarters for getting back to a more balanced rotation. Summer weed control and volunteers are proving to be extremely expensive and time consuming to control; they are not helping with herbicide resistance and control isn’t only necessary after a good crop. At least sheep eat things. What many seem to have forgotten is something we of another generation take for granted, skills. There are many younger farmers out there to whom sheep are only a distant memory or they have no experience of them at all. We are either entering the age of the contractor, which may not be a bad idea, or some are going to have to go on a steep learning curve. Flock contracting is big business in parts of the UK and I think in NZ. It may be answer here. Properly and professionally set up a good contractor could manage the day to day tasks of several flocks. The other big change that has taken place over the last decade or so is weight. The world now wants a heavy lamb. Almost impossible to produce off grass in Western Australia. So that means a time in a feedlot on conserved feed. The game has changed. Time passes too quickly, it doesn’t seem to be any time atall since we were getting downgraded for big lambs, now they seem to be what everyone wants. For those who got out of sheep it was easy once the decision had been made.I know one bloke, honestly, who had to wait for his father to die before he could sell 50 years of breeding. But then once the decision was made, for the majority it was easy. Whistle up the dog, ring up the truck. Go and buy another tractor and maybe a header and it was all over. Well the debts went up a bit, but money was easy to get. Have a look at the debt spiral after the 1990 wool crash. ‘Are you able to, are you interested in increasing the size of your flock or herd to meet what seems to be a growing market, all over the world for red meat, especially lamb? Are farmers interested in keeping more sheep or keeping sheep again? Especially if they pulled out fences and allowed water points and yards to deteriorate to make way for cropping? Land competition. Year in year out- sheep or crop? Quality of life? Does cropping allow more time for other pursuits. Bowls. Golf. Fishing? Has the reduction and in some cases the complete removal of sheep contributed to the gradual decline in crop yields? Do we have the skill base or can we get the contractors to go back into modern sheep husbandry? A lot has changed since the 1990s. We are older now. 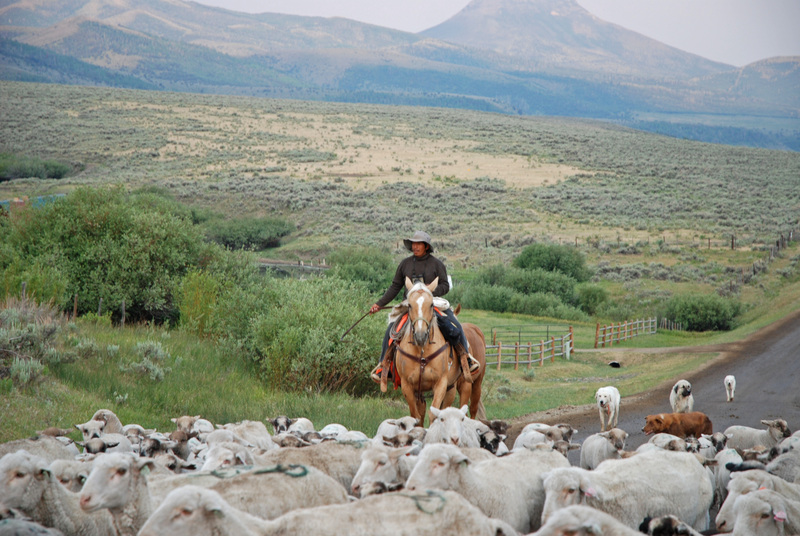 Are sheep more for the younger man and woman? I think this question of more sheep is more of a social question than an agricultural question. We have lost to industry at least one generation of sheep men and women, from stockmen and women to shearers and shed hands – the burning question is can we make it financially attractive enough to get another generation interested in what for the foreseeable future is going to be a hungry world and where there will be an ever increasing demand for sheep meat. Previous PostQ. How unlevel is the ‘playing’ field? A. It’s a hill.